ST. GEORGE — Entertainers, city officials and Santa Claus himself gathered alongside the public at the city’s Town Square Park to ring in the Christmas season with a lighting ceremony Monday evening. See and hear: Play video top of this story. 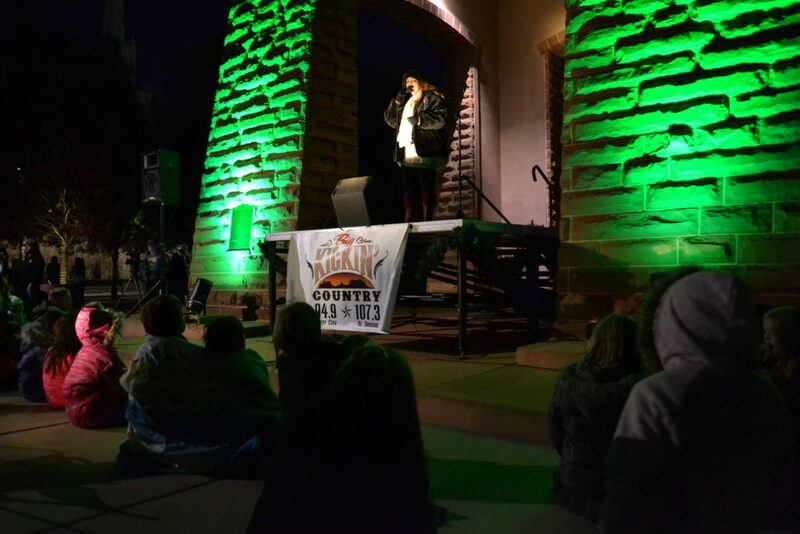 The event was hosted by FM radio station 94.9 (Cedar City) and 107.3 (St. George) KCIN Kickin’ Country with morning show personality Aaronee Cottam leading the show. 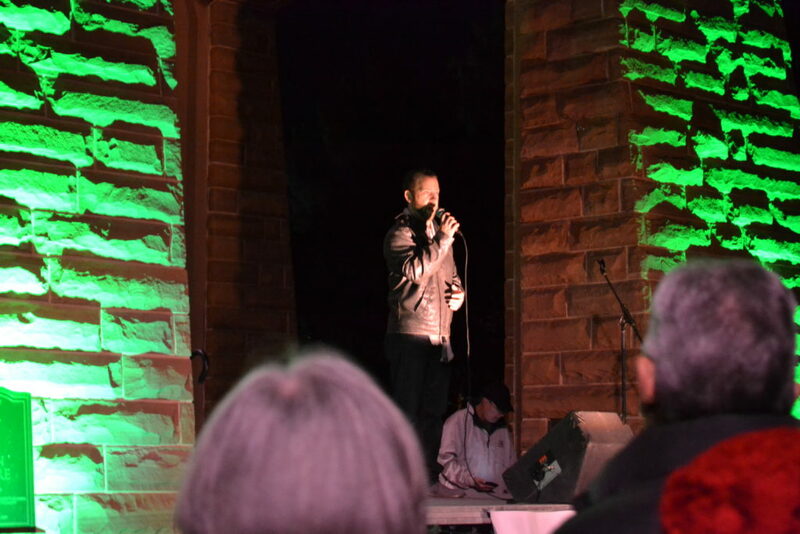 Hundreds gathered at the square at 50 S. Main St. to watch the festivities that included entertainment by singers Eric Dodge, Lyndy Butler, Mikalene Ipson, Josh Larsen and Brodie Perry who performed an array of both original and classic Christmas songs. 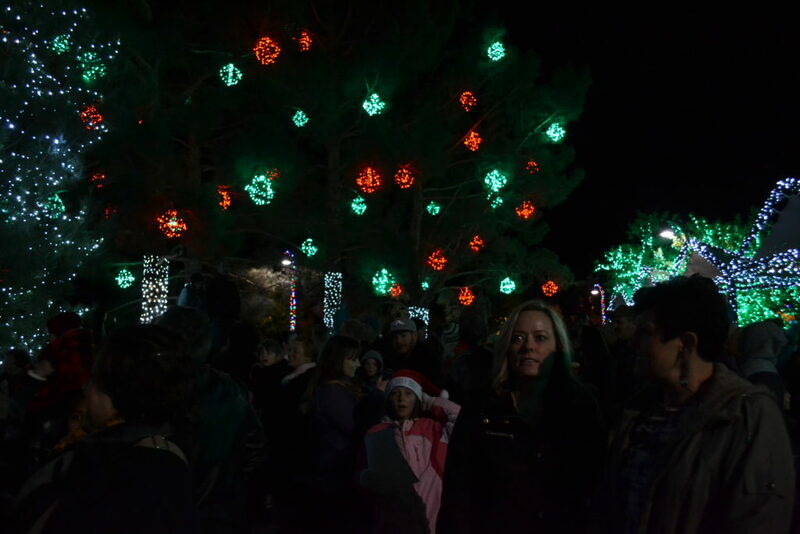 An elaborate display of colorful lights hung from surrounding trees and structures was turned on to the delight of the crowd, after which guests were treated to more music by choirs from Pine View and Desert Hills high schools. 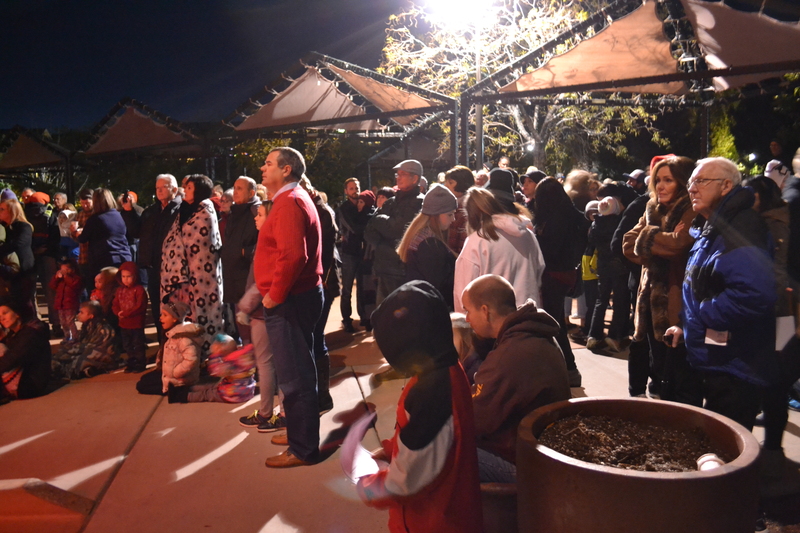 A line of excited children gathered to see Santa Claus when he made an appearance at the end of the program alongside Mrs. Claus. 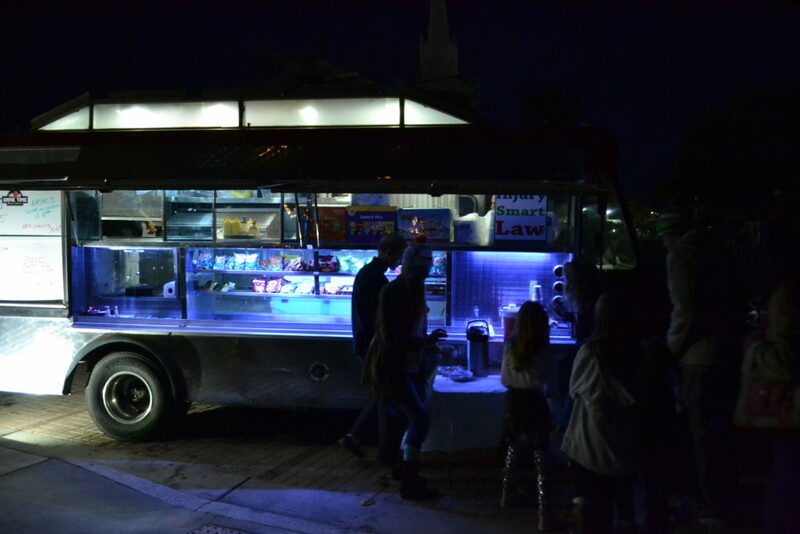 The evening’s chilly weather was offset by free hot chocolate from a Game Time food truck. 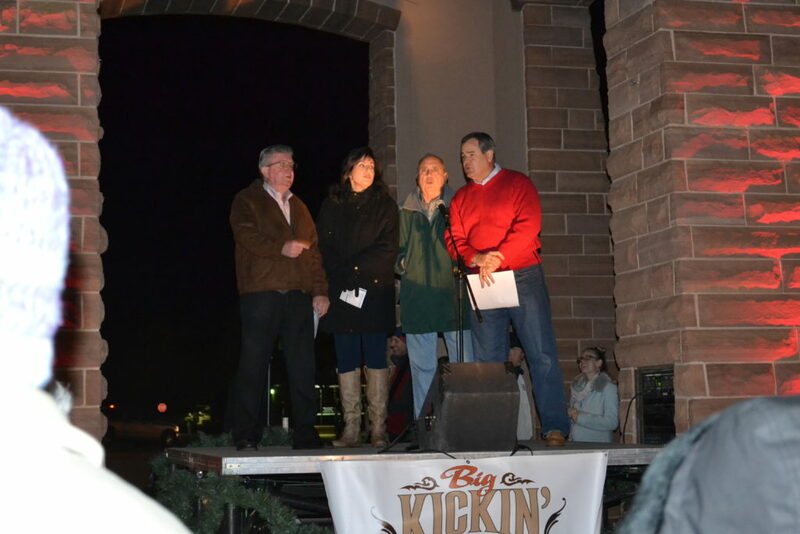 KCIN was instrumental in organizing the event this year. 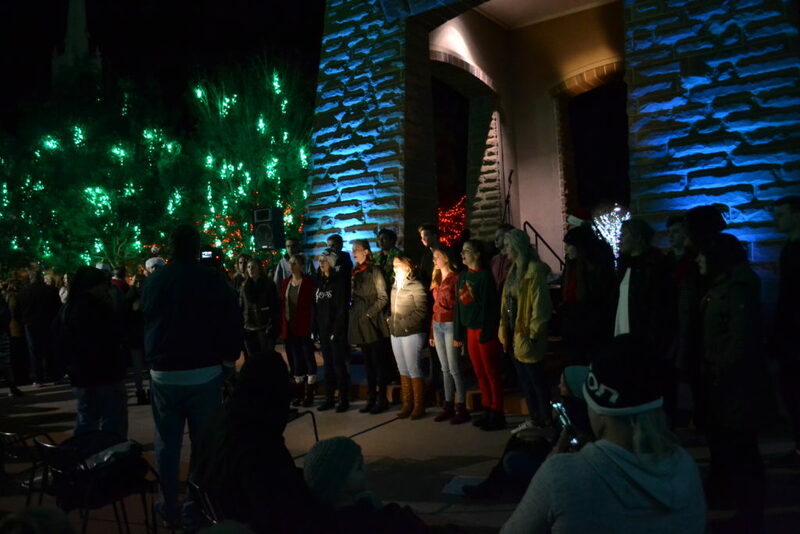 “We put together the choirs, the special performers for this evening, and we kind of put it all together so that the mayor could show up and thank everyone and present these awesome lights,” Cottam said. 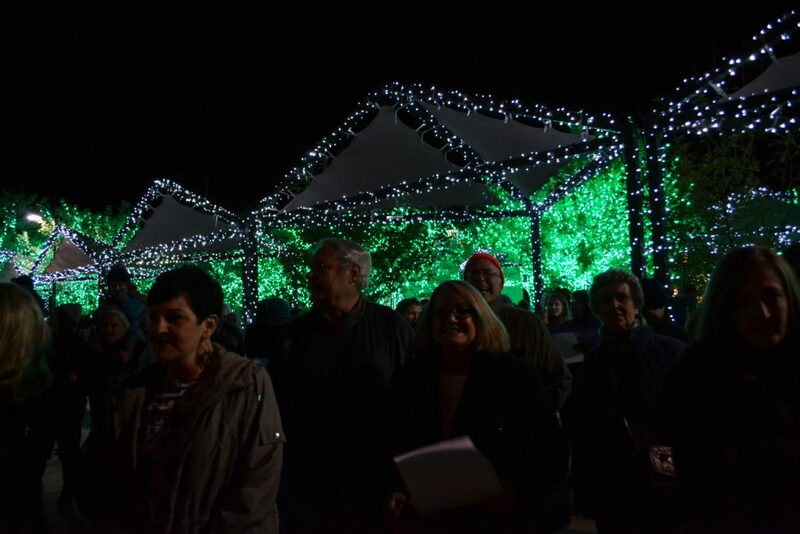 Cottam, who also serves as the station’s marketing manager, said she was especially happy to see how well the event did in its first year hosted by the station. This was such a great event for the community and to be there with friends and loved ones. 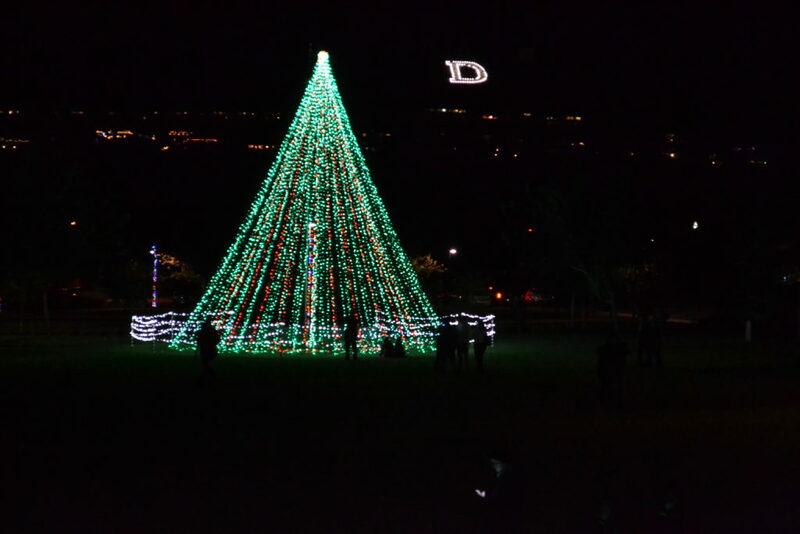 I would like to thank all those involved in making this possible and a special thanks to our wonderful city leaders. .
Pics are beautiful, I always send pics to friends near and far from here to see our city this time of year.thanks for all the hard work in doing this..